Janine Black is a Ph.D. student at Temple University focusing on Strategy and International Business. With an educational background in Chemistry (BS, Purdue University), French (BA , Purdue University), International Business and Labor Relations (MBA, University of Pittsburgh), Janine has worked in the chemical industry at several foreign firms headquartered in France, Germany, and the Netherlands. Her corporate positions have included Chemist, Technical Service Engineer, Project Manager, Manager of Customer Service, and Manager of Global Purchasing. 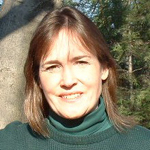 Janine currently teaches at Penn State Abington and Temple University. Classes taught include International Business, Leadership and Motivation, and Business Policies. Janine had the great fortune to purchase and restore a 1780s house in historical Philadelphia. During her research to determine the date of construction of the house, she unexpectedly discovered that the house had a name and a famous family associated with it, the Casseys. The resulting Cassey research led to the resurrection of the Casseys, and a greater understanding of their years of contributions to American society.